BerkelBike Fitness - Train arms and legs in your own home! The BerkelBike Fitness was developed for home use. 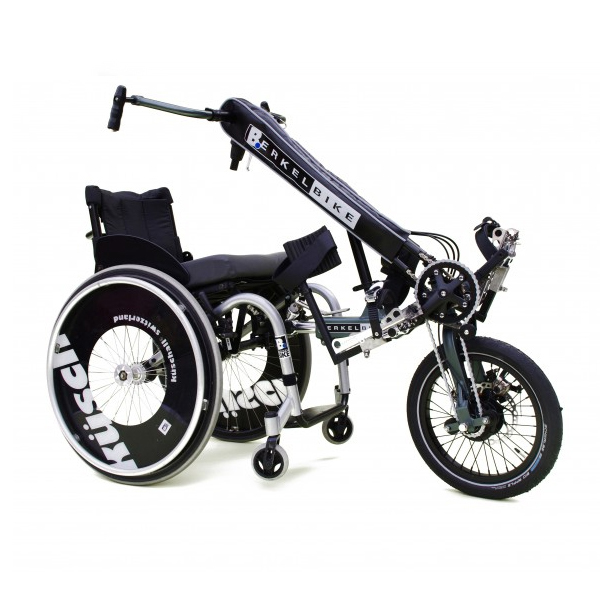 As with the other BerkelBike models, it is a possibility to train both arms and legs at the same time. The handles and foot pedals are connected, allowing the user to support the legs with the arms or vice versa if necessary. Likewise, in the case of semi-sided paralysis, strong side of the body can also support the weak side. This training device can be used in combination with Functional Electrical Stimulation (FES). In this case, paralysed legs can get involved as well. The BerkelBike Fitness offers a complete body training even when you have a transverse injury. HOW IS THE BERKELBIKE FITNESS USED? 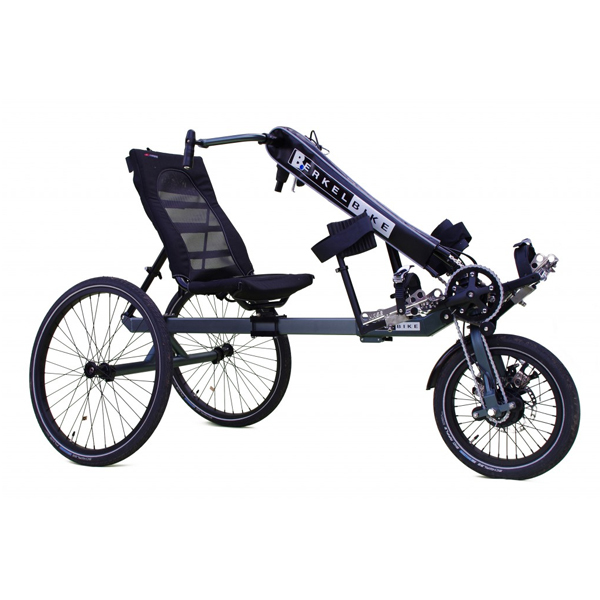 The BerkelBike Fitness can be used while sitting on an ordinary seat or in a wheelchair. We offer additional lower leg fixation accesories if the user’s legs are in need of extra stability. 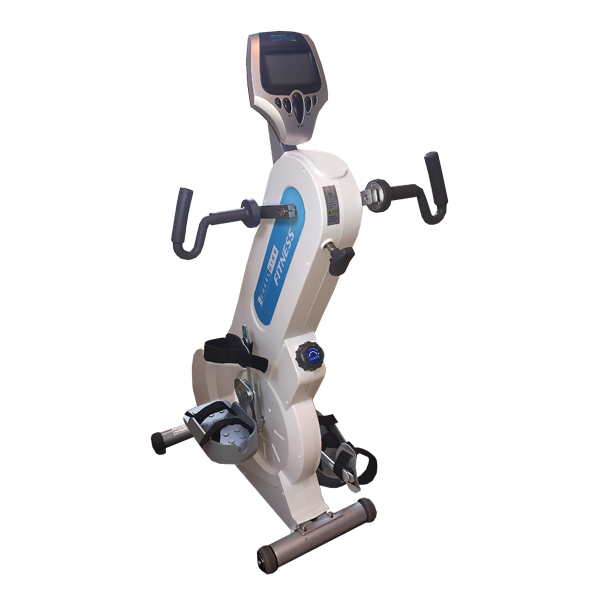 The user can choose from eight different resistance levels and can view the cycling time, distance, and calories consumed on the integrated screen. This model is the most basic BerkelBike and the most affordable option for cycling with FES. WANT TO TEST THE BERKELBIKE FITNESS YOURSELF? The BerkelBike Fitness is very easy to use. Place a sturdy seat or the wheelchair in front of the device. The user puts their feet on the pedals; these can be secured with adjustable straps if necessary. The screen will light up as soon as the handles or foot pedals are moved and the training can begin. 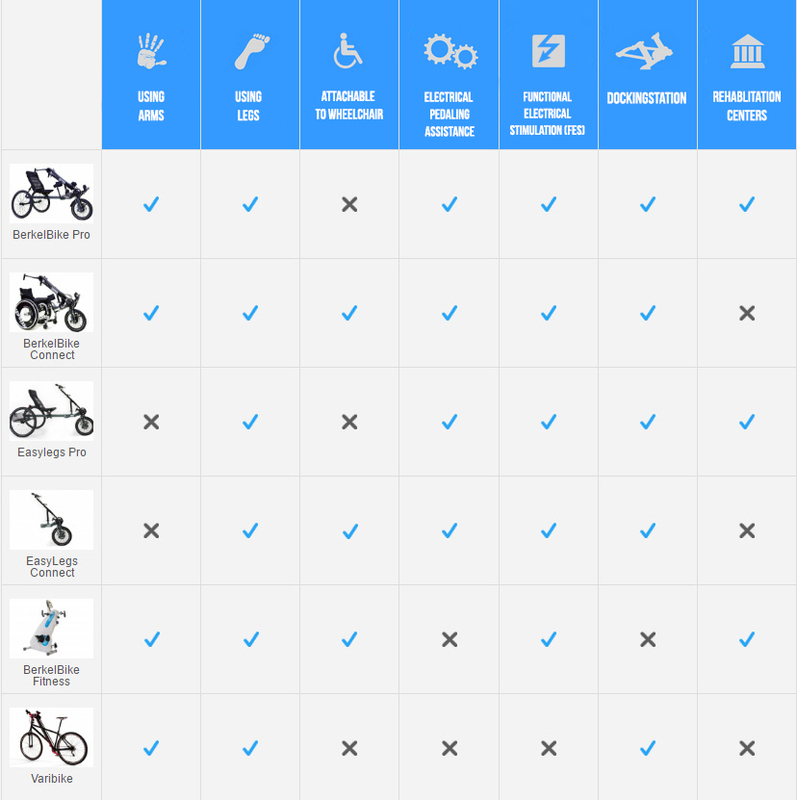 WANT TO KNOW MORE ABOUT THE BERKELBIKE FITNESS?